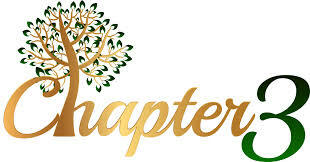 Chapter3 Enterprise CIC is a not for profit organisation. We provide support to mature people in the 3rd chapter of their lives who are currently not in employment and want to become economically active. Our services are funded by grants awarded to us by organisations that support Enterprise in communities. We are currently working to help people explore how they can use their lifetime’s skills, knowledge and experiences to make choices, plan their future and with renewed confidence take the first steps in the direction of a productive, exciting, enjoyable and financially sound third chapter to their lives. want to support them as they prepare to leave their employment and help them transition into the next phase of their lives. We provide specialist consultancy and support in this area. Employers who need to prepare for the significant skills shortages that will present in the near future and need some assistance in finding the right way to recruit and retain older workforce whose values and lifetime skills, knowledge and experiences are in some cases undervalued. Trade unions are becoming alert and aware of the looming problems that the aging workforce will have on the labour market and already we are working in partnership with one Trade Union to equip their members with the tools and foresight they need to ensure a financially sound, healthy, secure and fulfilling future.